The mostly flat trail leading out to the rim of the stunning Cape Final isn’t the most well known, but it’s definitely well worth it. 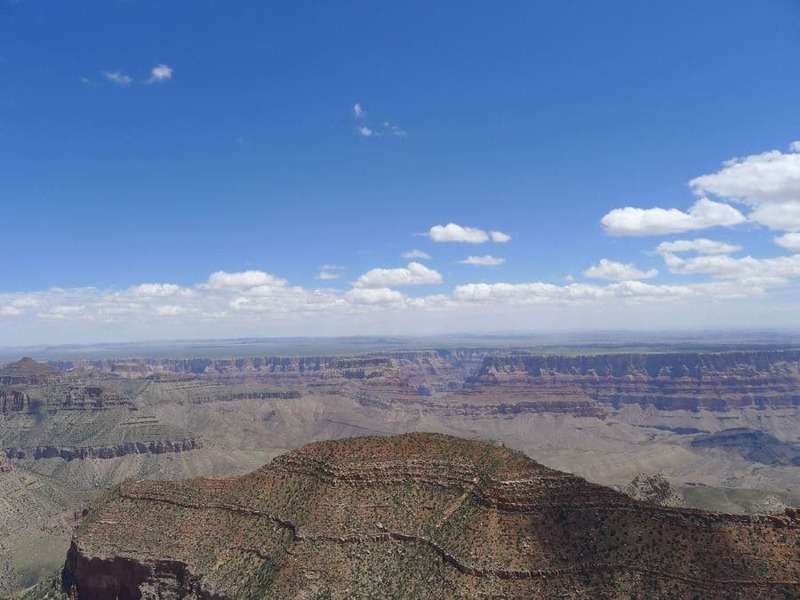 Here you will get absolutely fantastic panoramas of the Grand Canyon as well as views down to the Colorado River. From the north entrance to Grand Canyon National Park continue until you reach the first junction. From here turn left onto the extremely narrow and winding Scenic Drive, with signs for Cape Royal. This road is not recommended for large vehicles and RV’s, because it is incredibly tight! Follow this road for most of its length until you reach a small sign for the Cape Final parking lot on the left. This small lot is easy to miss! If you reach the Cape Royal parking area at the end of the road you’ve gone approximately 4.8km too far. From the small, wooded parking lot follow the unmarked, but very obvious trail as it snakes through the forest. 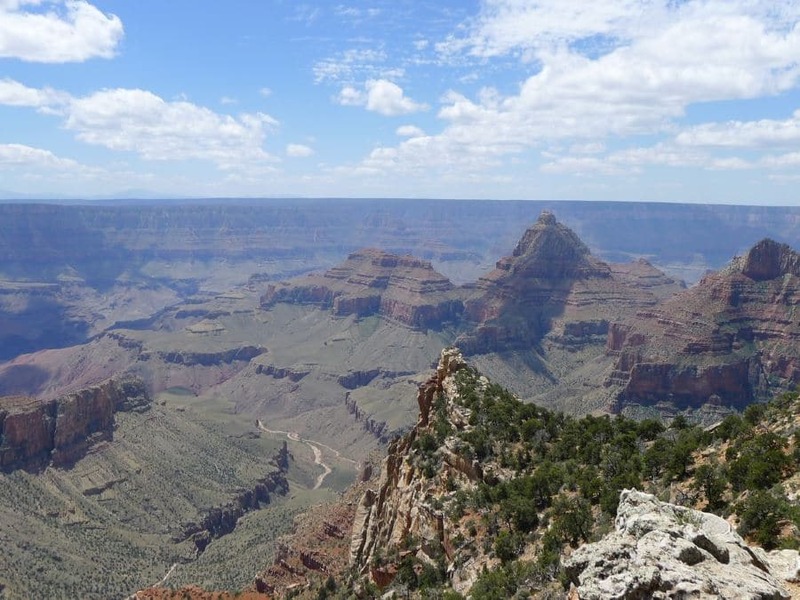 This trail is extremely similar to Shoshone Trail on the South Rim, however is approximately twice as long. 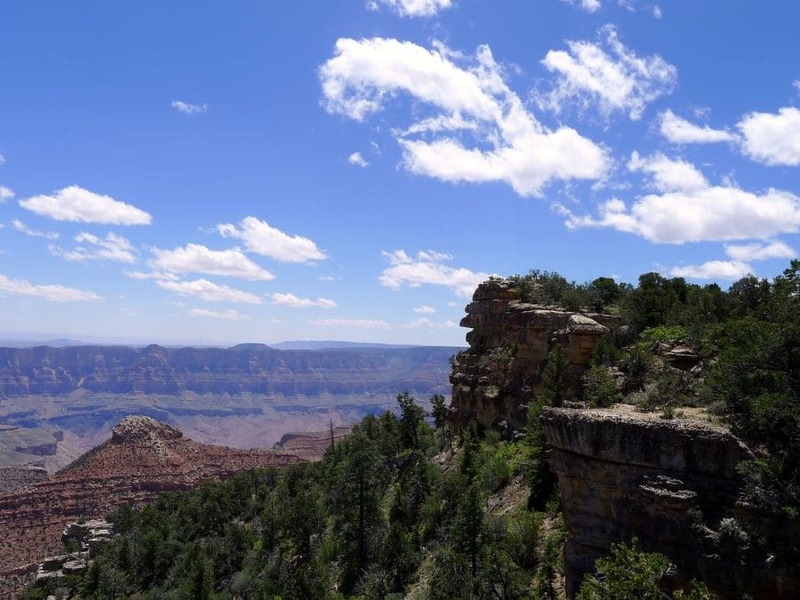 By that we mean that it is a wide, mostly flat trail going through a forest towards secluded yet scenic view of the canyon. As the path continues you will have a handful of small hills to climb, but they shouldn’t pose any physical challenge. 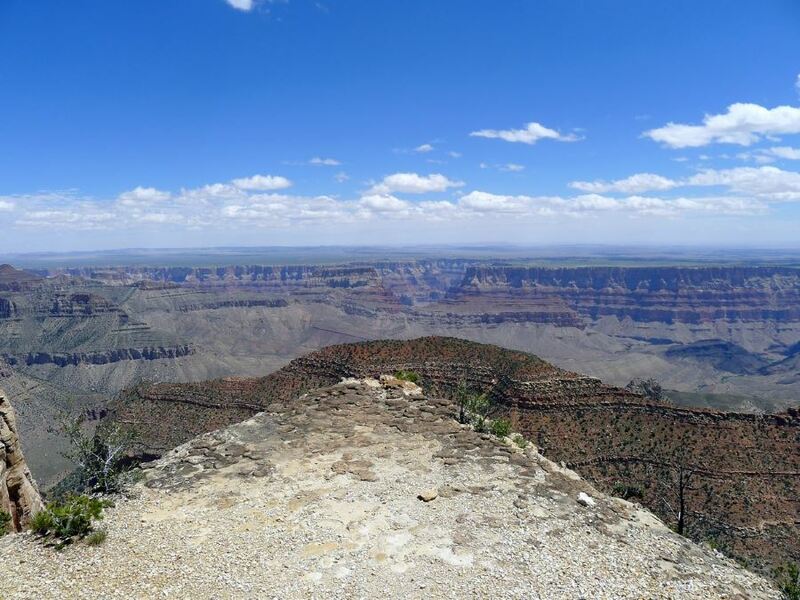 After just over a mile you will reach your first view of the Canyon. 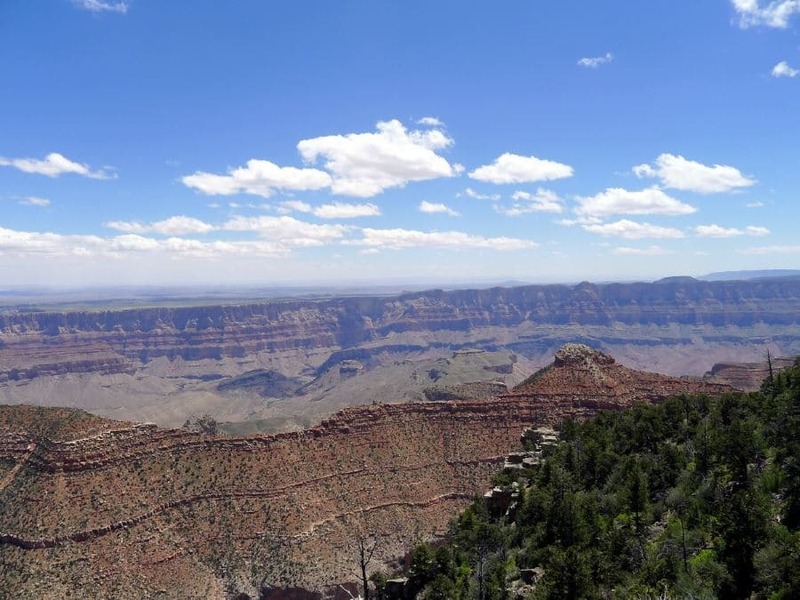 This is the eastern-most trail we list, so you will get fantastic views of the deserts lining the east rim as well as the earlier sections of the Colorado River. The trail then veers right and continues along the side of the rim, still undulating up and down before you finally reach a sign identifying Cape Final. Here you will also find a few backcountry campsites. 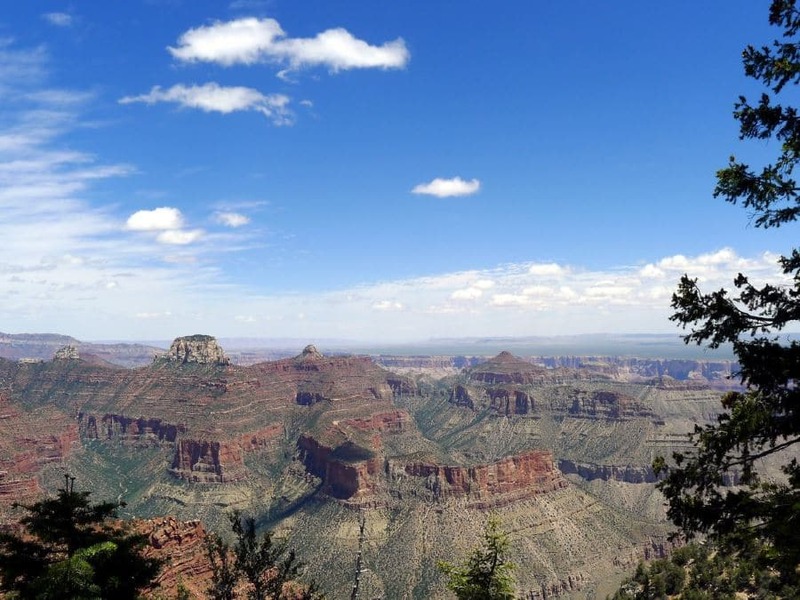 Clamber up the rocky point to admire the fantastic views of the eastern section of Grand Canyon National Park. If you peer directly across you will mostly likely be able to see a small smudge on the horizon. This is the tower of Desert View on the South Rim! Return the way you came. Inquire at the backcountry permit office to get a camping permit for Cape Final. It is a fantastic, easy backpacking trip!